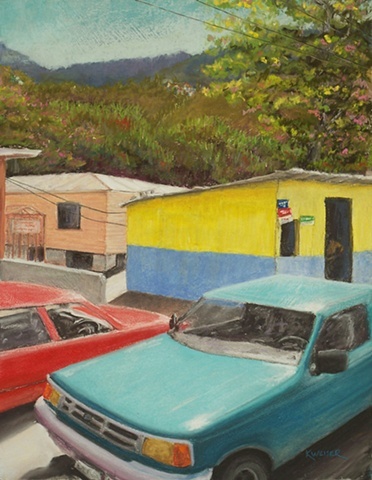 Juried Art Exhibition in all mediums- "Local Jamaica"-Finalist for Jury of Selection. This is a little village on the Island of Jamaica. The area was amazing with its lush tropical landscape and hustle and bustle of the locals. This scene was extra special, because of the vibrant colors and interesting perspective of the houses and vehicles.